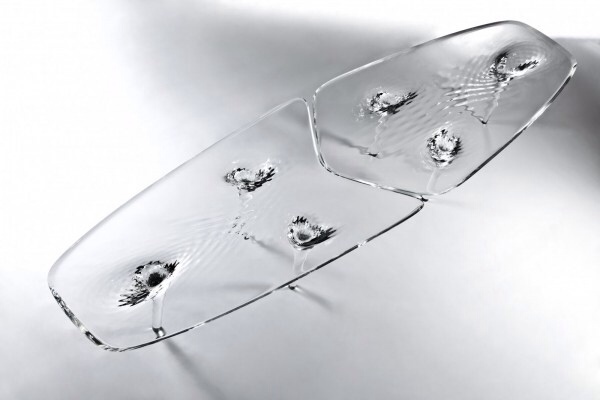 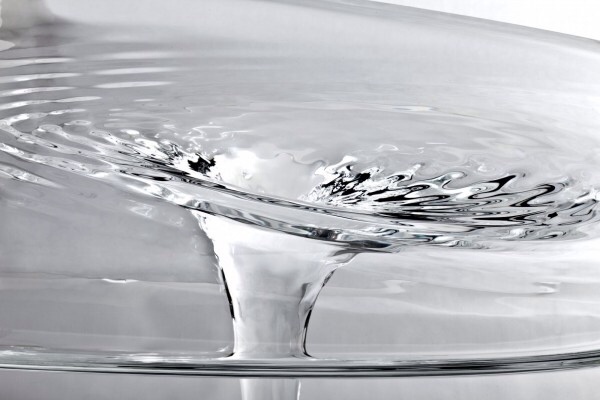 Based on both still and moving water, Zaha Hadid created a new intriguing table. 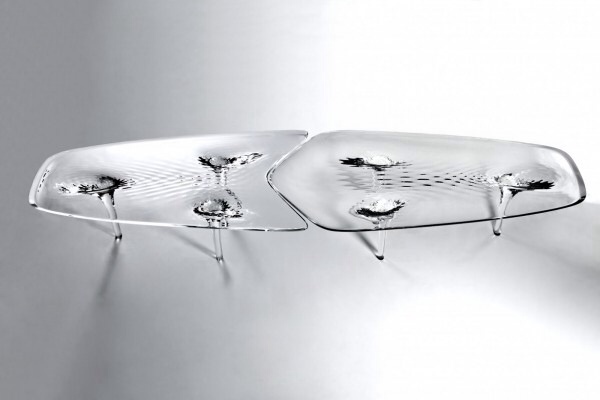 Zaha Hadid’s “Liquid Table” debuted in David Gill showroom in London last month. 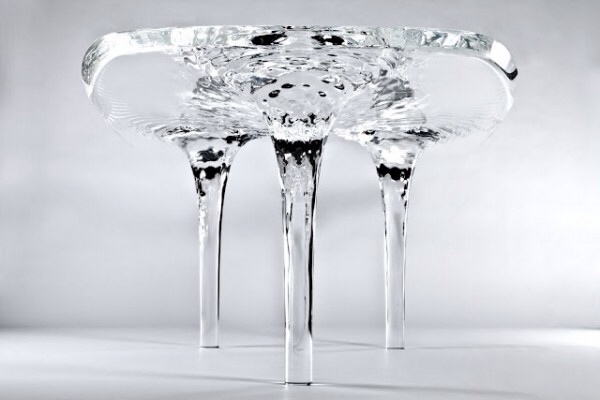 The set acrylic was milled and hand-polished to create the ice-like finish that enhances the table’s refraction-inducing form, which, though static and transparent, is characterized by an ever-changing play of dark and light, color and void.